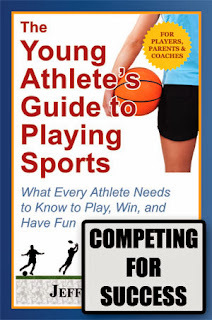 Here's an excerpt from chapter 5 (Competing for Success) of my new book, The Young Athlete's Guide to Playing Sports. This topic discusses how to identify and take advantage of an opponent's weaknesses. Your ability to play a sport well always starts with your own game. Ideally, you possess an arsenal of skills that give you an edge over your opponents. Any weaknesses you have are minimal. Your game is both strong and resilient. Like a tree buffeted by high winds, it remains standing no matter the fierceness of the storm. But in a contest that pits you against a tough opponent, you also need to consider the nature of your opponent’s abilities and game. You need to understand his or her strengths and weaknesses. By doing so, you can employ tactics that improve your chance of winning. Before or during a contest, try to find and exploit your opponent’s weaknesses. Even the best players have them. Start by determining whether your opponent has a weak side. Athletes typically have a dominant side and a weak one. For instance, tennis players rarely have equally strong forehand and backhand groundstrokes—one is usually weaker than the other. In many sports, a young athlete’s weak side is the same as the athlete’s non-dominant hand. Right-handed basketball players will usually dribble better with their right hand. 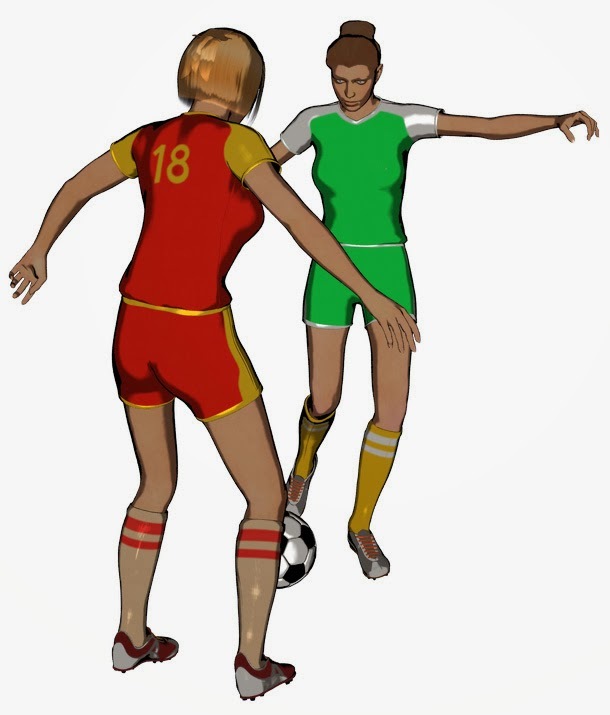 Right-footed soccer players will likely dribble the ball better with their right foot. And in both cases, each will find it easier to move to the right (and better protect the ball). For these players, their weakness lies in using their left side and moving in that direction. So in the above examples, how would you exploit your opponent’s weak side? If the tennis player favors his or her forehand, you would of course hit more balls to the backhand side. For the basketball and soccer players, you would defend them by positioning yourself slightly to their right (“overplaying”) and forcing them to use their weak hand/foot and move to their left. Your opponent’s weaknesses can lie almost anywhere within his or her game. Like the examples just discussed, they may be obvious. Other defects (like an inability to play well in stressful situations, for instance) may be less obvious. Sometimes these subtle weaknesses won’t appear unless you force your opponent past a certain threshold. Up until that point, your opponent’s play may be flawless. But exert enough pressure over an extended period, and your opponent’s game begins to fall apart. Confidence erodes, self-doubt creeps in, focus is lost, and athletic performance falters. Although possessing excellent sports skills, your opponent is physically deficient in some way. A skilled player may lack strength, size, foot speed or quickness. If you are quicker, try to deny your opponent the opportunity to use a skill. Against an exceptional offensive scorer, for instance, try to defend this opponent before they receive the ball by denying the pass. In racquet sports like tennis, try to move your slower opponent around the court side to side, forward and back, opening the court for an eventual winner. Take advantage of other physical mismatches. In the football example above, use the bull rush against the offensive lineman who has quick feet and good technique, but lacks size or strength. In basketball, consider posting-up defenders who are much smaller. Your opponent relies too much on his or her physical athleticism. Some athletes ignore (or are unaware of) good tactics because they typically win contests through physical talent alone. Try to counter any athletic or physical advantage with a compensating game strategy and tactics. A good example is the “Rope a Dope” boxing strategy used by Muhammad Ali to sap George Foreman’s punching power over the course of their famous fight. Although athletic, your opponent is either not well-conditioned or possesses less endurance than you. Similar to the previous item— but in this case an athlete is physically ill-equipped for a longer, tougher contest. Against this type of opponent, you try to survive the beginning onslaught, knowing that over the length of the contest the tide will turn as your endurance prevails. Finally, here’s an example that illustrates the last item. When I played tennis as a junior in high school, I had the opportunity to watch the deciding set of an important match in which our second singles player was struggling. Although Jay was an excellent player with smooth strokes, his opponent seemed to have figured out his game. Jay's opponent loved pace and was crushing his return at every opportunity. It appeared Jay had little chance to win. In utter frustration, Jay changed his tactics—he began to serve underhand. He hit the ball upward in a looping arc so that when it came down in the service box, it bounced high. Seeing the opportunity to quickly end the point, Jay’s opponent charged forward, wound up, and swung to put the ball away. But in his eagerness to end the point, Jay's opponent began to hit the service returns out of play. He struggled hitting the soft “sitter” at shoulder height. During rallies, Jay began to mix in lobs with regular ground strokes. I watched in disbelief as Jay’s opponent grew more and more frustrated, dumping shots into the net and spraying the ball past the end lines. As the match continued, his opponent completely lost his composure and Jay came back to win the match. In this instance, Jay’s willingness to boldly change his tactics exposed his opponent’s inability to handle a certain style of play. Although you probably won't have to resort to such an extreme approach, keep probing your opponent to discover where his or her weaknesses lie. This is an incredibly insightful article; it almost makes me think of Sun Tzu's Art of War! lol. Thank you for illustrating so clearly what to look out for.